Hungary lies at the heart of Europe. It has a thousand years of history and culture, with a varied landscape under mild climate. It is a member of both the European Union and the Schengen zone. While local infrastructure (school system, health care, transportation, telecommunication) is similarly developed than that in Western Europe, local living costs (including business costs, real estate or accommodation) are significantly lower. What is more, thanks to the great travel connections and the visa-free access you get with Hungarian residency, you can easily travel to any European capitals whenever you want to. In the Hungarian residency program, you buy property worth at least EUR 200,000, which you will rent. You set up a company for property management, and bam! you are already eligible for Hungarian residency. 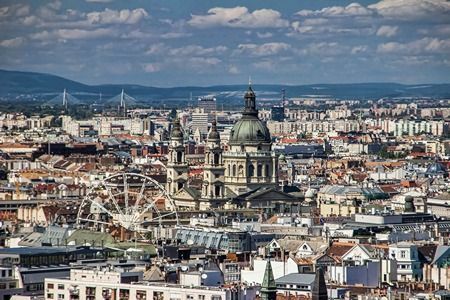 You can decide to move to Hungary and visit other countries of the Schengen zone on a whim, or just take advantage of your visa-free access without actually moving to Hungary. What is more, the option is not open to you alone: you can get European residency for your family members as well. Through a procedure called “family unification”, your spouse and your underage children can also apply for residency in Hungary. If you have children who are already adults but still dependent on you, they can enroll at a Hungarian university and apply for a student visa. application for the Hungarian residency – for you and your whole family. Then reach out to us! We are here to answer your questions, resolve your doubts, and help you make the right decisions.